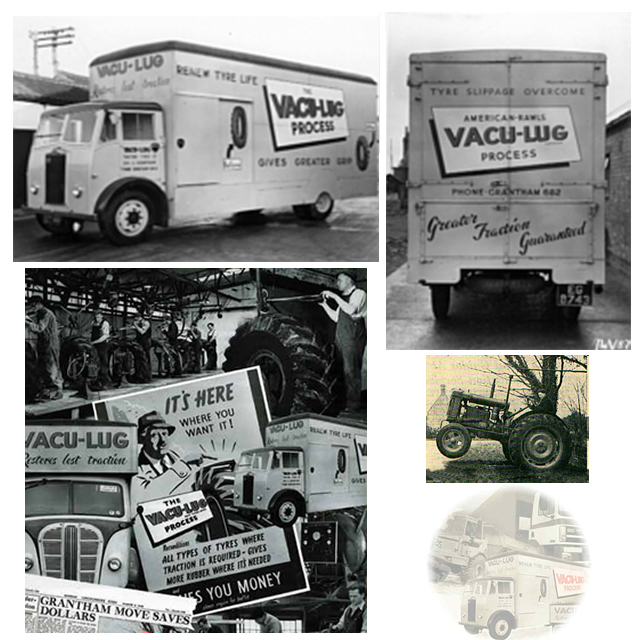 Vaculug’s history first began in 1950, just after WWII. At the time, raw materials were suffering and had taken a direct hit as a result of years of conflict. The turn of the decade saw a gap in the market for entrepreneurs, who recognised the great need for new and innovative manufacturing processes to help the country and, in particular, the manufacturing industry to get back onto its feet. Two such entrepreneurs were Mr L.W.R. Morley, who was at the time the managing director of North Road Tyresoles (Services) Limited of Great Ponton in Grantham and his associate Mr F. Widdowson. They began production using the Vaculug process and after a short time, an increase in demand saw the closure of the Great Ponton site and the consolidation of all manufacturing at the larger plant at Great Gonerby. The Vaculug process incorporated various sectors of the industry – car, truck, tractor and earthmover and focused its attention on bringing these industries the most suitable tyres for their vehicle fleets. With quality always at the forefront of the Vaculug brand, during the 1960s Vaculug began to notice the poor quality of casings that it was receiving from new tyre manufacturers. For this reason, Vaculug began focusing on making its Duramold range of retread tyres more efficient. The 1960s saw Vaculug become the largest independent tyre reprocessor in Europe with around 500 employees. Vaculug purchased a Barewell mould and extruder along with a Sio mould from Denmark, which saw an even greater increase in product quality. 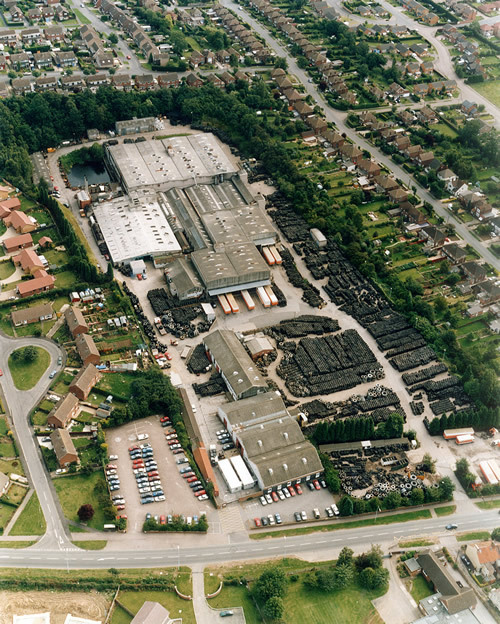 In 1974, Vaculug opened a smaller plant in Colsterworth specifically to focus on the production of its earthmover and tractor tyres. Although the production of car retread tyres had ceased, Vaculug’s production was unaffected and hit over 200,000 units a year for all products. Keeping ahead of the latest trends, in the 1980s new developments in tread design formed the backbone of Vaculug’s product range. Problems with the world economy encouraged Vaculug to develop a new strategy to improve its UK sales and heading into the 1990s, Vaculug developed new techniques for casing inspection and ultrasound scanning. The millennium saw Vaculug begin to further specialise its business as demand increased for fleet management packages that served all tyre requirements. As the world began to recognise the environmental benefits of the retreading process, Vaculug began focusing its attention on improving methods of both production and distribution and continuously seeking improvements within each of its product ranges. Vaculug brought in its own unique Vaculug Fleet Management system (now known as VMS – Vaculug Management System), which set a new benchmark in advanced tyre fleet management.